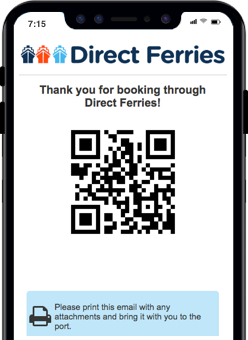 For more information, please visit our Ferries from Dodecanese Islands to Crete page. 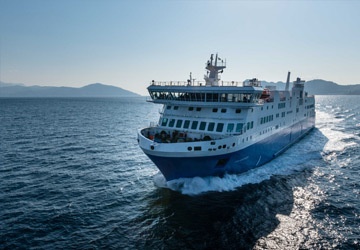 The Kasos Heraklion ferry route connects Dodecanese Islands with Crete. 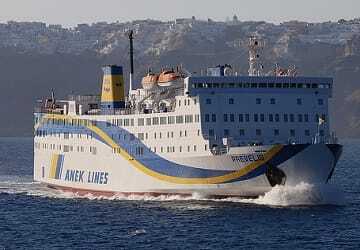 Currently there is just the 1 ferry company operating this ferry service, Anek Lines. The crossing operates up to 2 times each week with sailing durations from around 6 hours. Kasos Heraklion sailing durations and frequency may vary from season to season so we’d advise doing a live check to get the most up to date information. The Greek island of Kasos is one of the Dodecanese group of islands and lies in the south east Aegean Sea. The island is located to the south west of the island of Karpathos, between Karpathos and Crete. The small island, which measures around 50 sq. km, only has about 1,000 inhabitants and is quite mountainous with the highest peak standing at 550m above sea level. Worth exploring are the island's 5 villages which are: Fry, Agia Marina, Panagia, Poli and Arvanitochori. The island's port can be found in the village of Fry. The island has managed to retain its natural identity mainly because of the lack of large scale tourism. Visitors to the island will love the quality of its fish, locally produced cheeses and its friendly hospitality. There are around 100 churches on the island which bears testament to the island's deep religious beliefs. Worth visiting is the church of Agios Spiridonas, the complex of six churches in Panagia village and the church of Agios Georgios, which is now regarded as the protector of the island. The island can be reached by ferry via Piraeus, Crete (Siteia, Agios Nikolaos), Rhodes, Halki and Karpathos. Located on the Greek island of Crete, Heraklion is the island's largest city and is one of the main urban centres in Greece. The city can trace its history back to at least the 9th century AD when its development began and then later came under the influence of the Arabs, the Venetians and the Ottomans. Popular sites in the city with tourists include the fortification walls that are essentially the boundary of the old city. These were first built by the Arabs and then reinforced by the Venetians. From the seven bastions, only the Martinengo bastion survives to this day and is where visitors will find the tomb of the renowned writer N. Kazantzakis, overlooking the city. The city was also a venue during the 2004 Olympic Games, and hosted games of the football tournament. Located in the city's old port, visitors can still see the vaulted tarsanades where ships used to be built and also the 16th century Koule Fortress. From the port, ferries depart to destinations including Santorini, Ios, Paros, Mykonos and Rhodes. There are also ferry services to the Greek mainland port of Piraeus.